Feed/Light board complete Feeder / Light board. 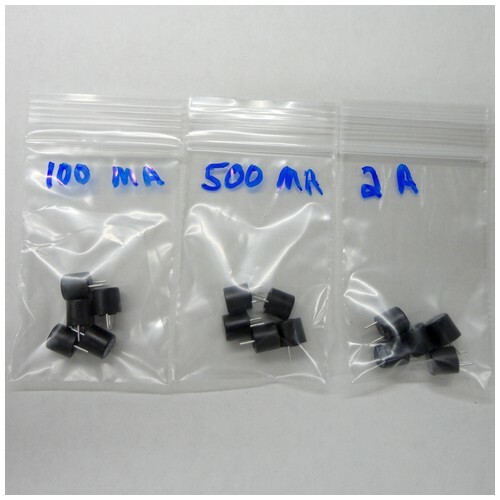 Four high voltage (120-240 VAC) outputs. 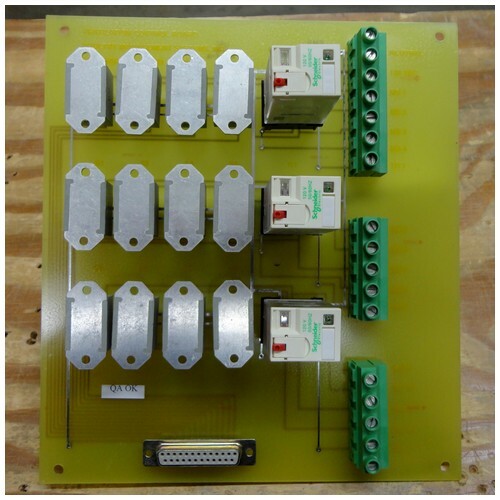 Use solid state relays control by 5 VDC. Computer / Time Clock switching for each output. 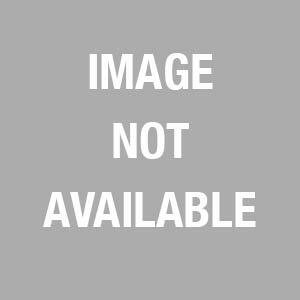 4-slot Command III Rack Assembly Command III 4-slot Rack Assembly. 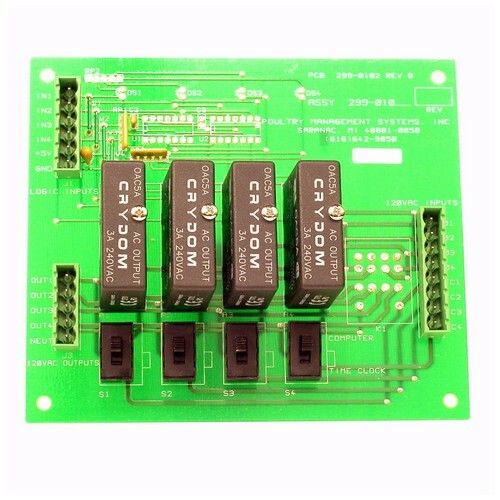 Houses the CPU module and up to 4 modules in various combinations of Digital Input, Digital Output, and Analog Input modules. 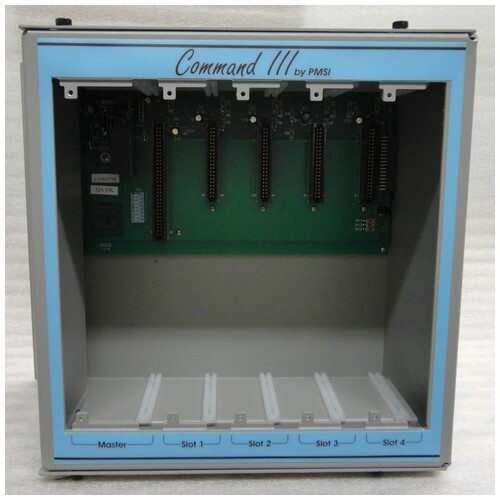 8-slot Command III Rack Assembly Command III 8-slot Rack Assembly. 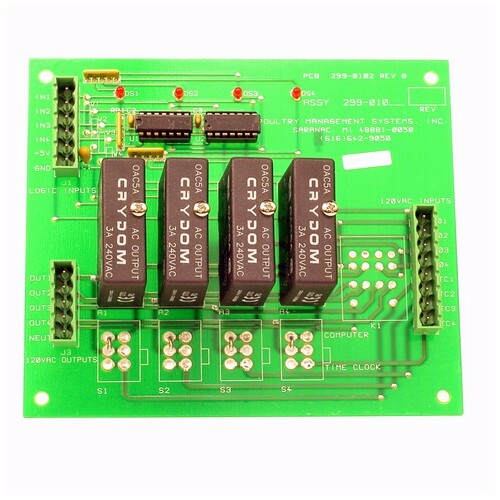 Houses the CPU module and up to 8 modules in various combinations of Digital Input, Digital Output, and Analog Input modules. 12-slot Command III Rack Assembly Command III 12-slot Rack Assembly. 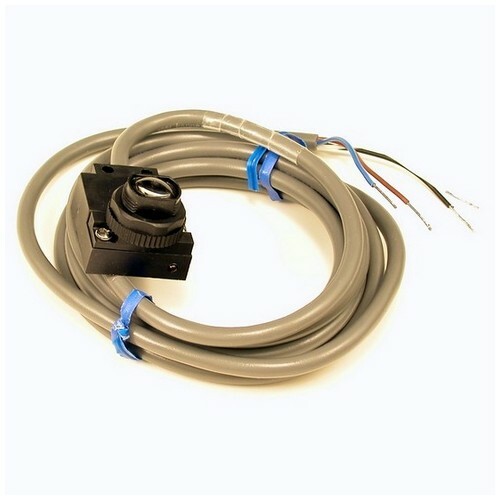 Houses the CPU module and up to 12 modules in various combinations of Digital Input, Digital Output, and Analog Input modules. 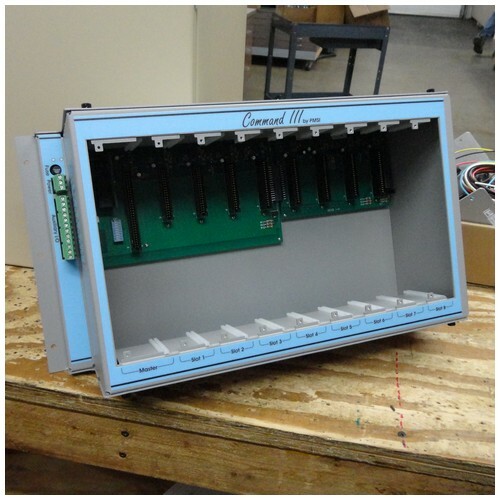 Command III Digital Input Module Assembly The Digital Input Module Assembly can accept 32 digital inputs per module. 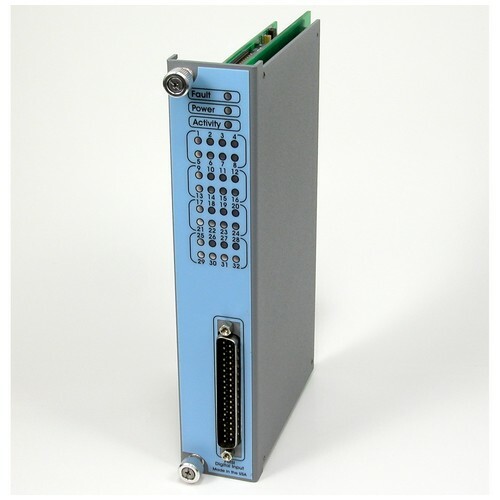 The digital inputs are used for counting eggs, water pulses, rpm pulses, on / off status of various devices. 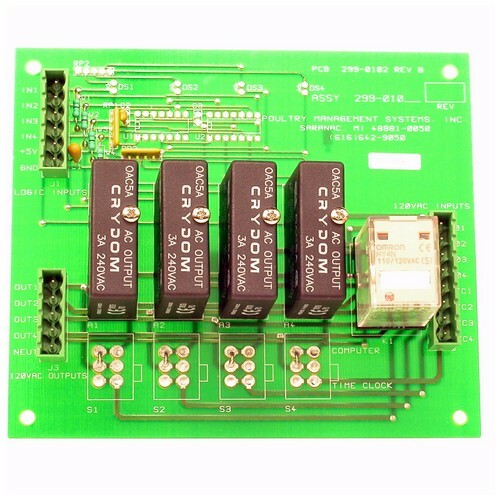 Connects to a digital input termination board.